BIRTH: About 1597 at Wisbech, Cambridgeshire, England, daughter of Henry and Katherine (---) May of Wisbech. MARRIAGE: William Bradford on 10 December 1613 at Amsterdam, Holland. 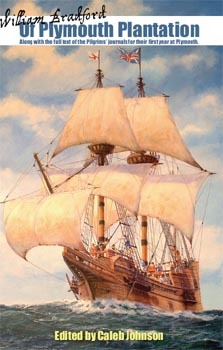 DEATH: 7 December 1620, drowned in Provincetown Harbor after accidentally falling off the Mayflower. William and Dorothy (May) Bradford, as portrayed by the History Channel's documentary "Desperate Crossing." Promotional image courtesy of Lone Wolf Documentary Group. Dorothy Bradford was born in Wisbech, Cambridgeshire, England, about 1597, the daughter of Henry and Katherine May. At the age of 16, she married 23-year old William Bradford on 10 December 1613 in Amsterdam, and returned with her husband to take up residence in Leiden, Holland. Her father, Henry May, was a leading church elder in the Henry Ainsworth church congregation in Amsterdam. It was discovered in 2017 by research conducted by Caleb Johnson, Sue Allan, and Simon Neal, that she was actually the niece of Mayflower passenger William White--her grandmother Thomasine (Cross)(May) White was also the mother of William White. Dorothy and William Bradford had a son, John, who was born in Leiden sometime around 1617. When William and Dorothy decided to make the voyage to America in 1620 on the Mayflower, they left behind their son John in Leiden, presumably with the intention of sending for him as soon as the colony was built and more stable and suitable for a young child. The Mayflower anchored off Provincetown Harbor on November 11, and the Pilgrims sent out several expeditions of men to explore the region to seek out the best place to build their Colony. 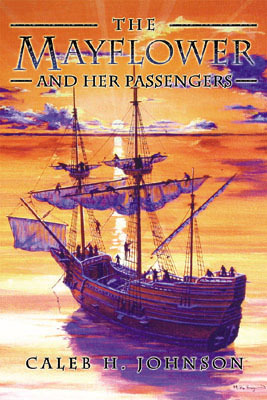 While William Bradford was away on one of these explorations, on 7 December 1620, Dorothy fell off the Mayflower into the freezing waters of Provincetown Harbor, and drowned. Her son John came to America later, married Martha Bourne, took up residence in Duxbury and later moved to Norwich, Connecticut where he died about 1676, having had no children. 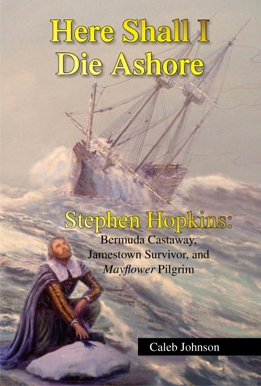 In the mid-19th century, a fictional story was published in Harper's Weekly, in which Dorothy's fall off the Mayflower was portrayed as a depression-induced suicide, involving an affair with Master Christopher Jones. Although the story was completely fictional and had no historical basis (it is called an accident in the only contemporary account), it has nevertheless made it into some popular accounts of the Pilgrims and gets regularly debated on television in documentaries.